There is a reason Henry controls the blog and not me…I might be the world’s worst blogger. Sorry for the hiatus friends. Life has been a bit wild over the past few months and it all has to do with my teaching career. I first stopped blogging to focus on passing my English CSET(California Subject Examinations for Teachers). That test was one of the most miserable experiences of my life. I thought I knew things about literature and teaching the English language…I wasn’t wrong, but I definitely didn’t know ALL THE THINGS. The minutiae on this exam was astounding. Every greek god, every major work of literature from the dawn of time, every poem, every author, every grammar rule, every exception had to be somewhere accessible in my brain. But I passed and am now a credentialed English teacher! Hooray! We just won’t talk about the fact that this was attempt #2. Pitiful excuse #2: I finally got some teaching experience under my belt! This school year was pretty wonderful for me. I got to work on my first school musical, Cinderella. It was definitely a learning experience, but I had an amazing partner and we put on a lovely show(She’s also a fabulous blogger. Check her out at Bees Times Three!). We were the directors, the set builders, the costume designers, the choreographers, and the student wranglers. I’m a wizard with a safety pin, let me tell you. It might have been a nearly insurmountable amount of work, but it was awesome. At the same time, I taught English as a long term substitute. Oh, the papers. 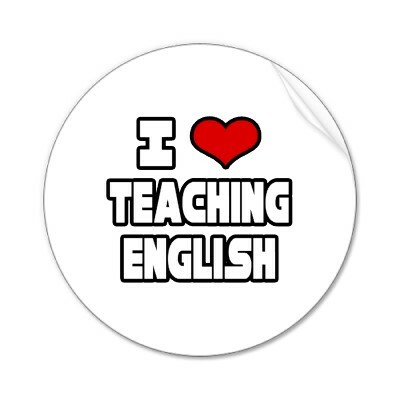 If you know an English teacher, give them a hug. They’ve probably spent the last nine months grading papers and need summer break more than you could possibly imagine. I finally feel like this is my year. Later this afternoon I’ll be headed to orientation for summer school. I’ll be teaching sixth and seventh grade. I couldn’t be more excited! I’m hoping this nervous energy will help me write lesson plans. Here’s hoping I’ll start sharing some lovely teaching anecdotes and blogging MUCH more. I’m slowly making my way towards having my own classroom. This journey hasn’t been easy, but I know the rewards will be great. Congratulations! Sounds like a tough test – no shame in taking it twice, just think how many have failed to pass it more than that!! !